Matthew Buswell trained at the Royal College of Music (RCM). Whilst at the RCM he performed a number of roles with the Royal College of Music International Opera School (RCMIOS) including, Superintendent Budd Albert Herring, Sarastro Die Zauberflöte and Licaone Giove in Argo. Other recent roles include Count Monterone Rigoletto, Speaker, Second Priest and Second Armed Man The Magic Flute, Sacristan and Sciarrone Tosca, and Luka The Bear (Walton). His repertoire also includes Cadmus and Somnus Semele, Figaro Le nozze di Figaro, Mars/John Styx Orpheus in the Underworld, Leporello Don Giovanni and Guglielmo Cosi fan tutte and Zaretsky Eugene Onegin. His major concert performances in the UK have included Raphael & Adam in Haydn’s Creation (Guildford Cathedral), Mozart Requiem and Solemn Vespers and Brahms Ein deutches Requiem (St Martin-in-the-Fields), Beethoven Mass in C (St. John’s, Smith Square), Beethoven Symphony No 9 (Portsmouth University), Christus in Bach’s St Matthew Passion (Highgate Choral Society), Fauré Requiem (Temple Church). 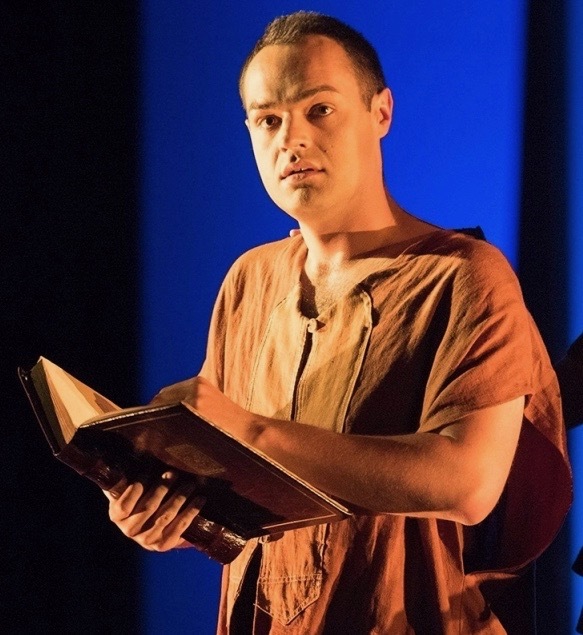 In 2018 Matthew Buswell made his débuts at the Opéra de Lyon, as Soldat Der Kreidekreis, at Grange Park Opera as Sam Un ballo in maschera and at Longborough Festival Opera as Seneca L’incoronazione di Poppea. Matthew's future engagements include returning to Mid Wales Opera as Don Iñigo Gomez L'heure espagnole, Opéra de Lyon as Il Tempo/Nettuno/Antinoo Il ritorno d'Ulisse in patria and his début at Lyon's Auditorium with the Orchestre national de Lyon as the bass soloist in Bach's St.Matthew Passion. Matthew is represented by Helen Sykes Artists' Management.